But for Cath, being a fan is her life, and she’s really good at it. She and her twin sister, Wren, ensconced themselves in the Simon Snow series when they were just kids, it’s what got them through their mother leaving. Reading. Rereading. Hanging out in Simon Snow forums, writing Simon Snow fan fiction, dressing up like the characters for every movie premiere. Cath’s sister has mostly grown away from fandom, but Cath can’t let go. She doesn’t want to. Now that they’re going to college, Wren has told Cath she doesn't want to be roommates. Cath is on her own, completely outside of her comfort zone. She’s got a surly roommate with a charming, always around boyfriend, a fiction writing professor who thinks fan fiction is the end of the civilized world, a handsome classmate who only wants to talk about words... And she can’t stop worrying about her dad, who’s loving and fragile and has never really been alone. Cather, otherwise known as Cath, is on the verge of her freshman year at college with twin sister Wren. The sister's have always shared a close bond... Up until now. 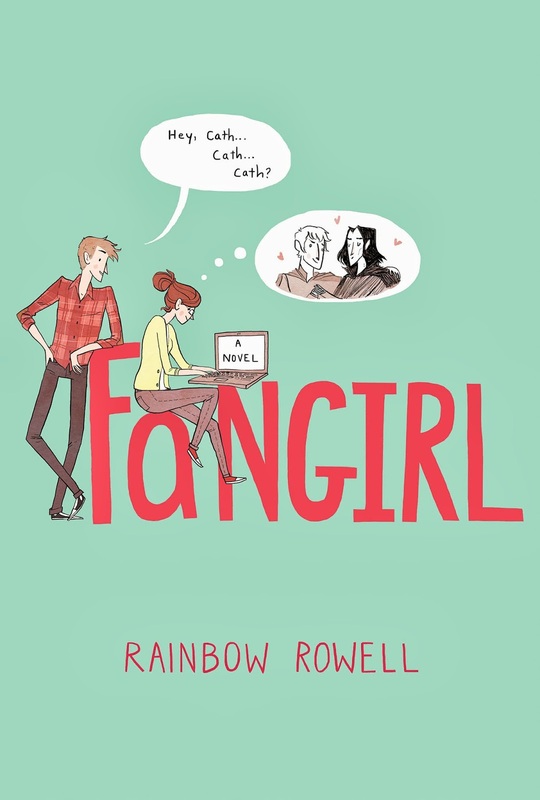 While Wren is an outgoing party girl, Cath is a shy recluse, spending all of her free time writing fan fiction for the popular Simon Snow series. Now Cath faces the turmoil of college life alone when Wren wants her freedom, to be an individual and not seen as a twin. For introvert Cath, she's never felt more alone. She's always relied upon her single father and twin, but now all Cath has to keep her company, is Simon Snow... And the occasional text from not quite boyfriend Abel. It's just Cath's luck, to be stuck with a surly and intrusive room mate. Bad mannered Reagan isn't interested in bonding with Cath, she has a life of her own... Including tag along boyfriend Levi, who's strangely, always smiling. Considering his relationship with the prickly Reagan, Cath isn't sure what the lanky boy has to smile about. She never dreamed that college would be so exhaustive, her successful fan fiction Carry On, Simon is pushed to the back burner, much to the frustration to Magicath's thousands of fans. It isn't long before Reagan realises how pathetic Cath's college life has become, her only regular meals are energy bars and jars of peanut butter, Cath has no idea where the cafeteria is located. Not to be mortified any further, Reagan takes pity on her and thankfully being her charity case only requires Cath to aide in Reagan's ridicule of other students. The handsome Nick soon becomes a new fixture in Cath's life, he's a fellow student in the illustrious fiction writing class. Just when Cath's life seems to be improving, socially at least, her not quite boyfriend Abel meets someone else. Cath should have seen it coming, their three year relationship has never been real and explains why Cath doesn't feel heartbroken as she probably should. Regardless, Reagan sees it as an opportunity to broaden Cath's horizons, with Levi becoming the tag along, preferring to dote after Cath. Levi is captivated by Cath's fan fiction. He's never been much of a reader, finding that he can't grasp words on a page and absorb them. When his study partner Reagan is busy, with one of many boyfriends, Cath takes pity on Levi and reads through the night as a source of revision. The experience bringing the two closer than ever, both emotionally and physically, being her room mates boyfriend being momentary forgotten. Just when Cath begins to live life as she should, twin Wren's, is spiraling out of control. She has distanced herself from Cath, binge drinking and losing control. When the girls were abandoned at only thirteen years old by their mother, who wasn't cut out to raise children, the girls and their father fell apart, and seemingly, their sense of abandonment has never been fully resolved. Now that their mother is back, the past brings up painful memories, Her father isn't coping again and Wren is drinking herself into a stupor. Cath's life begins to unravel while she attempts to hold onto the new world she's constructed. Her relationship with Levi, the approval of room mate Reagan, her father's mental breakdown and Wren's hospital admittance. She's not cut out for fiction writing, and can't stray from her Simon Snow fan fiction, and is determined to finish Carry On, two years in the making, before the eighth and final book in the series is released. But Cath has more than just Simon Snow in her life, but will she be able to step away from the characters and see the story of her life that is waiting to be lived? 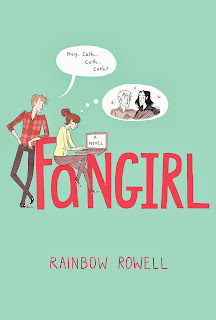 I was itching to get my hands on a copy of Fangirl, becoming a fan of Rainbow Rowell after reading Eleanor & Park, but I was so disappointed. I just didn't get it. It wasn't the quirky, offbeat romance that I had expected it to be. I kept waiting for it, the point where the book builds into a specific event that holds significance, but it never came. If it did, I missed it, thus missing the point entirely. Cath was dull, beyond nerdom which evidently may have provided her with a personality. For a girl who was surrounded by bright and brilliant characters, she was just too bland in comparison. I found myself skimming though, especially the Carry On scenes. It was too much going from snippets from a Harry Potter fantasy world, back to the life of the monotonous Cath. I desperately wanted to love it, I needed to like it, but I ended up begging myself just to endure it. I have been reading rave reviews for this everywhere and am really keen on reading it! Great review hun!